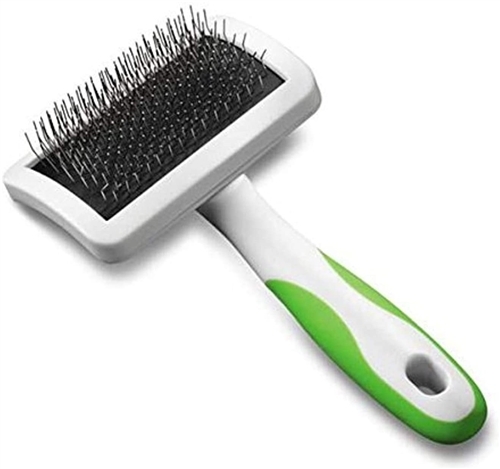 The Andis Large Firm Slicker Brush - Pet Grooming Tool eliminates tangles and matting, reducing shedding up to 90-Percent. It helps remove dead hair from undercoat and topcoat and has an anti-slip, easy grip handle for safe and comfortable grooming. It even stimulates hair follicles to promote growth and healthier hair. Andis De-shedding Tool Andis 7-Piece Blade Comb Andis ProTrim Lithium-Ion Trimmers Andis Metal Finishing Comb 10"